According to the Census Bureau, today’s consumers buy nearly 10 percent of goods and services online—and that percentage is rising at a clip of over 15 percent per year. Some small businesses, such as used books stores and antiques dealers, rely on the internet for a majority of their sales. What does that mean for local businesses? It means they face increased competition from online retailers, whose place of business may be located anywhere in the world. What can your small business do to attract and retain customers? Here are three ways your small business can overcome competition from online retailers. If you haven’t done so already, you should seriously consider jumping into the digital age. At the very least, your small business should have a functional, search-engine optimized web page that attracts customers. 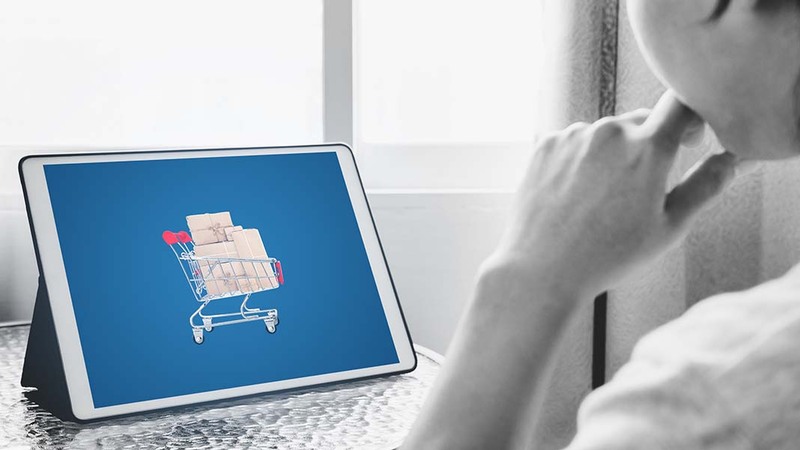 If you sell products that can be shipped, you would most certainly want to have ecommerce product offerings and a shopping cart that makes purchasing quick and easy. You should also look to use other digital forms of marketing and sales. A social media presence is essential, and social media advertising is becoming more the norm. Email ad campaigns, e-newsletters, and interactive blogs might also benefit your business. Customers like to think they’re special—and they are! Without them, you wouldn’t be in business. It pays to work at making sure every transaction feels personal. When customers come into your physical place of business, you no doubt put a high priority on making them feel welcome. Same goes for online sales. Set a tone that’s inviting, and customize the experience so that visiting your ecommerce site feels personal. Customer relationship management (CRM) software can also help you find customers and keep them coming back. Compiling information about who your customers are and what they want can help you better target new products and services to individuals who already have an inclination to buy. Incidentally, the data you mine from such a system might also give you useful information for business planning, goal setting and decision making in the future. Studies have shown that businesses are more successful when they engage with the local community. Making a donation in cash, goods, or services to a community organization or event is a great way to show you care. Other ways include hosting fundraisers, offering a college scholarship, and encouraging employees to volunteer locally. Even joining a civic or business organization, or sitting on a board of directors, can help show that you’re serious about the welfare of your community. Consumers like to feel that they’re supporting local businesses and will often pay a little more if they feel the money is staying in the neighborhood. When customers see your business as part of the wider community, they’re more likely to find value in the products and services you offer.